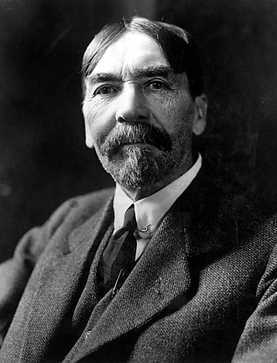 Thorstein Veblen was an American economist of immigrant farmers who spent most of his academic life at the University of Chicago. Veblen saw economics as being an evolutionary process in which man’s survival relied on his ability to adapt his behavior. The role of economics, be felt, should he that of analyzing the ephemeral political and social institutions which, he believed, determined people’s behavior. His two main works are Theory of the Leisure Class (1899) and Theory of Business Enterprise (1904).